The action is hot when yellowfin tuna take flight off Venice, Louisiana. The boat was drifting near an oil rig not 10 miles from the mouth of the Mississippi River when out of the corner of my eye I saw a huge splash. Then another, only this time I saw the cause of the commotion—a 100-plus-pound yellowfin tuna had jumped 10 feet into the air! I’ve fished for tuna all over the western hemisphere, Atlantic and Pacific, and seen these amazing animals jump on occasion, but what was going on around the boat that day, and for the next four days, was unlike any tuna feeding display I had seen before. 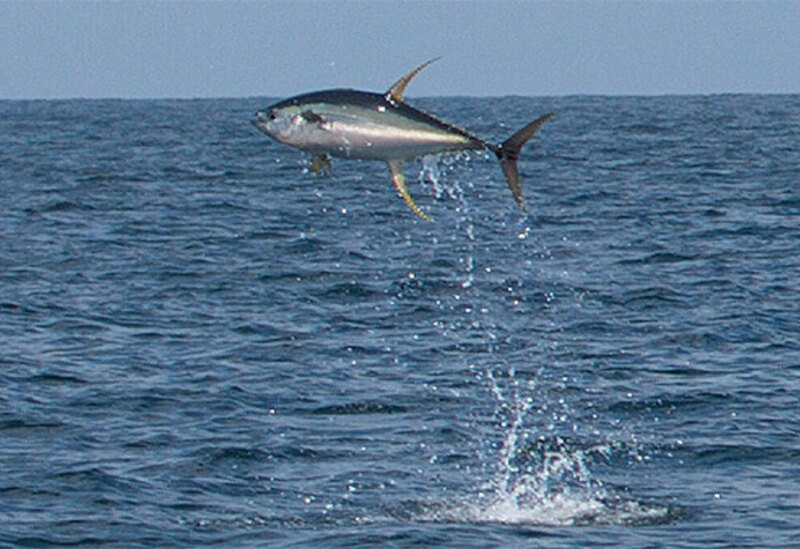 Yellowfin tuna were going airborne regularly while attacking baitfish around the production platforms. “Hey cuz, welcome to Venice, where tuna fly,” said my good friend Bill Butler, owner of Venice Marina and Resort, which is located at the southernmost point in Louisiana. We were fishing aboard his triple-engine, 36-foot Invincible tournament center console affectionately called Crawgator. Bill is a crazy Cajun who’d be at home on the cable-TV show Swamp People, if he weren’t quite so sharp. 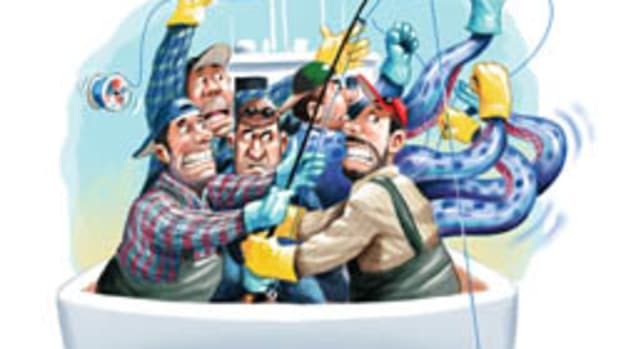 “They’ll be doing this all summer long and the fishing is stupid easy!” he shouted out. No kidding. We drifted live baits and caught tuna. We cast poppers and caught tuna. We used jigging tackle and caught tuna. 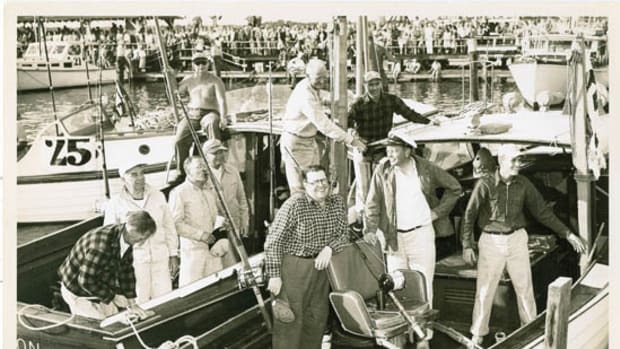 Years earlier I’d partaken of the winter tuna fishery here when monster-size yellowfin were being caught at places like the Midnight Lump (a salt dome 50 miles southwest of Venice), but the summer fishery is a different animal altogether. The weather is beautiful, albeit a tad hot, the Gulf is calm, and the tuna are frequently hanging around oil platforms as close as seven miles from the mouth of South Pass. 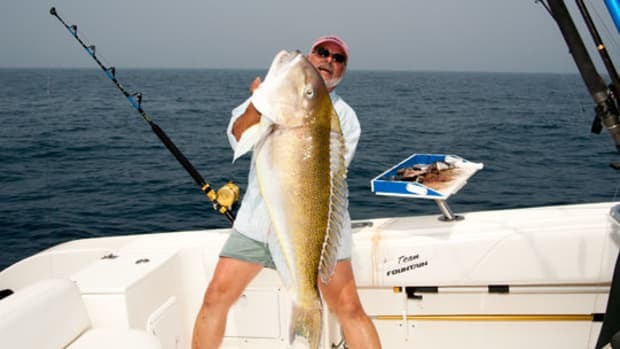 That’s a short run from the marina, a veritable sportsman’s paradise rebuilt after Hurricane Katrina by Bill and his brother Mike, so anglers can get to some of the most amazing tuna fishing they’ll ever experience. “Last summer was the tuna bite from hell,” Bill said. 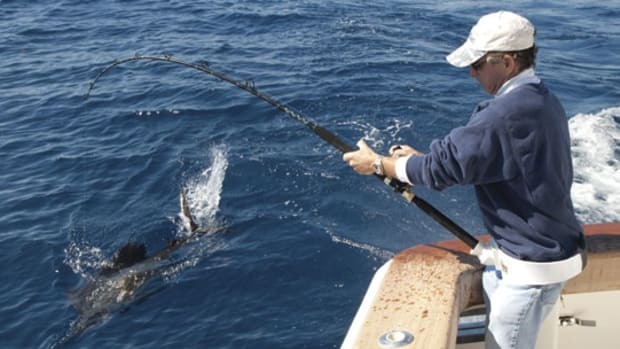 “From June straight through to October they were here thick and we rarely had to run more than 20 miles outside the Pass to get into red-hot fishing!” To target tuna, sharks, and billfish, boat owners should get a highly migratory species angling permit (hmspermits.noaa.gov). July, August, and September are prime time. The yellowfin are running from 50 to 150 pounds with some even larger, and the aerial displays are enough to drive you to distraction. 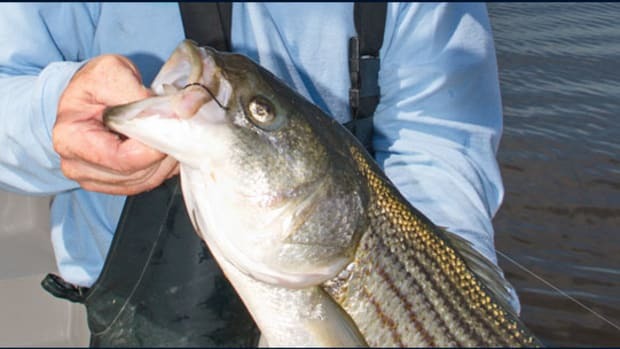 The best part of the whole deal is that catching live bait is simple. The tuna don’t seem to care if you’re using pogies (menhaden), tinker mackerel, or hardtails. 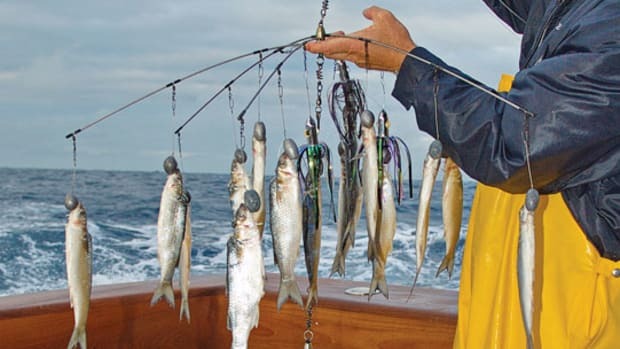 The most productive method for hooking up is drifting or slow-trolling live bait around the rigs. On your beefy 50-pound standup tuna rod (bring your fighting belt and harness) rigged with 50-pound-test line, tie a 6-foot length of 60-pound fluorocarbon tipped with a 7/0 3X circle hook. 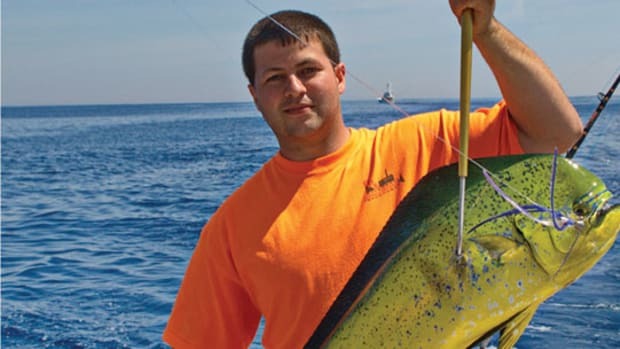 Pin it through the nostrils of a live baitfish, and drop it back a couple hundred feet behind the boat and the tuna will find it, often with explosive results! 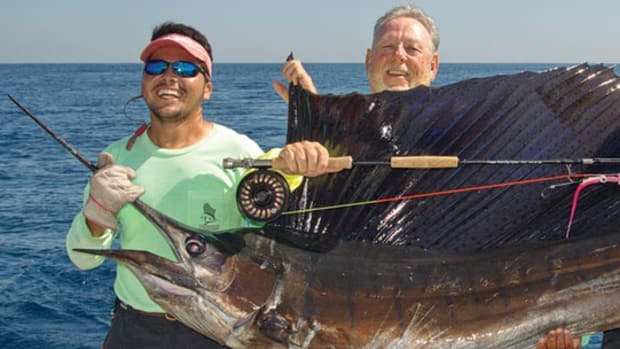 And if you need a distraction from the yellowfin, the blue marlin fishing is spectacular this time of year, too. But bottom line, this is standup tuna fishing at its finest with visuals you’ll not experience anywhere else: flying yellowfins. Go figure. A few years back I ran a 32-foot Hydra-Sports from Tampa to Venice, fished for five days and ran it back with two good friends. It was one of the most memorable trips I have ever had on the water. 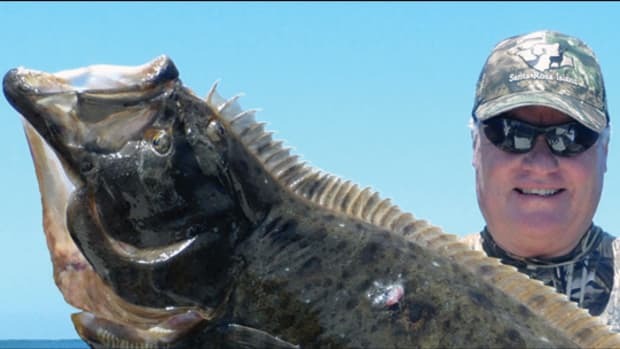 Bill and his crew will have all the information you need to get on the fish all by yourself. Just plan on being amazed by what you see and getting damn tired from catching tuna—there is nothing like pulling on these critters on standup tackle. This article originally appeared in the August 2013 issue of Power & Motoryacht magazine.